It's the D-Day of our long awaited sweet escape. Really? Long awaited one? Haha, we booked it last minute though but we did plan to have a getaway for quite some time before puasa. So, we departed at 1200 and reached around 1540 (?) with some pit stops for brunch and also to change pilots. Pitstop! Lol, suddenly all become K-poped! After some rest and settled down things, we changed to our sportswear to enjoy some evening walk and go for bike riding. The good thing is that we can rent the bike throughout the stay (park at our room) and send it back during checkout which is very convenient without having to wait for the buggy. This place is quite spacious so you kinda need to call the buggy to move around (if you don't wanna get tired and sweaty easily). Then, we head back to the room for dinner and some chilling time~ Not for me though cause I worked that night. Every night. Haha, I cut fabrics. But still, I didn't get stress easily there even had to work. You can see some sneak peek of the living room here. View from the entrance door. Left: room with 2 single beds and Right: master bedroom with king-sized bed. Centre: Living room. Pool one of the master's between the living room and the bedroom. Open air bathroom. Like VERY OPEN! LOL. Tips: Bring extra clothes or kain batik so that you can wash in it. We're supposed to have a morning walk which is one of the activities offered by the Resort that includes bird watching but unfortunately, the weather wasn't on our side that day that it pours down to greet our first morning. No bird watching so to the gym we go! It was chilly but we still made our way to the pool. 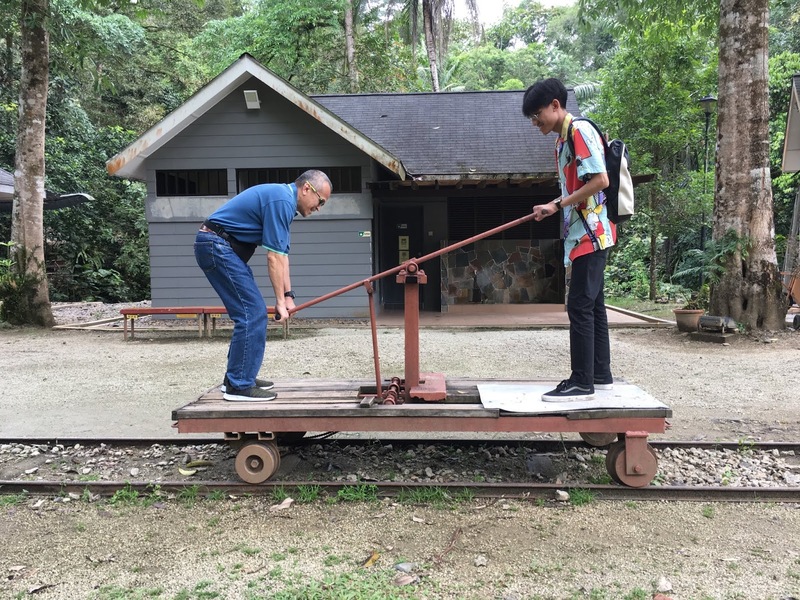 On the second half of the day, we went to Sg Lembing for its Museum and also Old Mining Place. Some of the displays in the museum. Day 3 we were just enjoying and chilling in our room and just called for a room service for dinner. We watched 2 movies and 1 variety show~ But before that, we went for a spa treatment in the morning which was very relaxing and that you won't notice that it was already an hour! Btw, we booked on our first day there in the evening. Or if not, you can book by calling for their extension from your room. Prior to the treatment, we have given a drink made of ginger and post-treatment was a glass of turmeric drink which at first taste weird but you guys just need to drink it at one shot so it won't taste bad that way. Every trip, the last day was quite sad cause we had to leave the place we adapted already for days but what to do. It's the nature of trips. So, I give you some of the corners within the resort area: Public pool, Lobby, Restaurant. And finally the last goodbye but we'll surely visit this resort again! OOTD of the first day (travel: HnM dungaree and Uniqlo tee + evening: HnM sweatpants and Uniqlo tee) and the next day morning: Cotton On sweatshirt and HnM sweatpants. 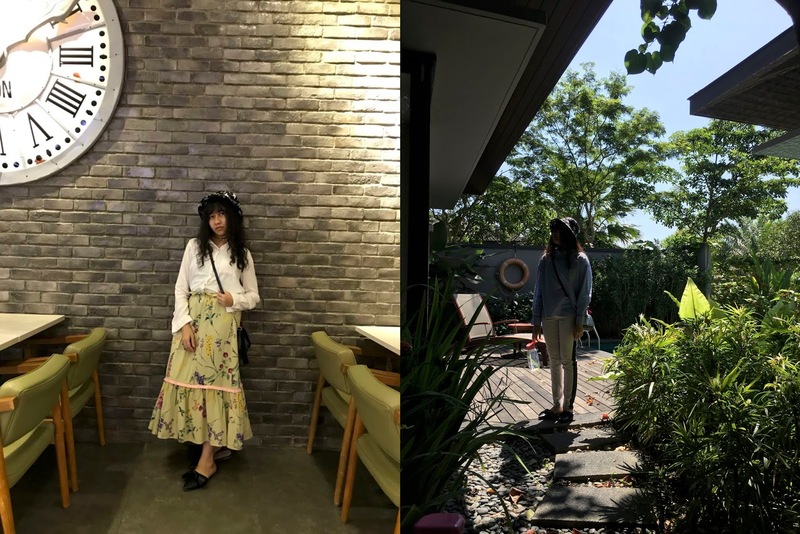 OOTD of second day evening: HnM skirt, Forever 21 shirt, Vincci slipper, Zara bag, newly bought penny wise bucket hat at Sg Lembing and Redeye ring. Last day: Bucket hat, Zara shirt, Forever 21 pants, Vincci slipper, Zara bag. * Oh! Idk but it's like our days were full of exercising. Haha, but it wasn't tiring at all.